Grandma Maud’s adds two new flavors to our food-service 1.5 oz sinfully delicious cookies. Caramel Butterscotch and Lemon White Chocolate. Offer some variety to your food-service selection with these 2 unique and wonderful flavors. Your students and guests will not be disappointed. 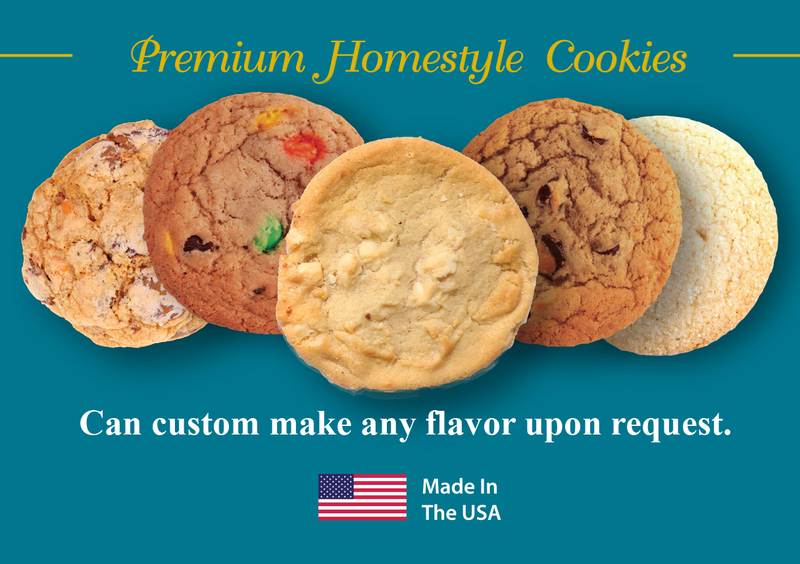 Sugar, Chocolate Chip and Chocolate Chip with Candy Pieces are our more traditional flavors. We can always make any custom flavors upon request. 5 premium 1.5 oz sinfully delicious cookies. Sold in Foodservice department.